There was a minor reduction in lamb production across Western Australia in 2018, defying expectations of a significant drop as a result of challenging seasonal conditions. The Department of Primary Industries and Regional Development’s 2018 WA Lambing Survey  showed an overall reduction in the State’s lamb flock of four to seven per cent on 2017 results. Senior development officer Mandy Curnow said while lamb marking rates varied significantly across different regions, most producers achieved good lambing rates despite the difficult season. “With a delayed start to the season and low winter rainfall, particularly on the south coast, overall lambing rates were expected to be much lower than they were,” she said. Ms Curnow said survey feedback suggested the reasonable marking rates were a reflection of good nutrition management. “Although it’s been a difficult season, the results show producers have been actively managing their flocks’ feed requirements according to conditions,” she said. The special short survey was completed by 178 producers, representing 660,000 ewes, from across the agricultural region. The majority of survey respondents mated Merinos to Merinos (71 per cent), which achieved a marking rate of 91 per cent, representing a slight decline from 2017 levels in both the cereals-sheep zone (CSZ) to 92 per cent and the medium rainfall zone (MRZ) of 90 per cent. Twenty two per cent of respondents produced crossbred lambs, which achieved an average marking rate of 89 per cent, with CSZ rates of 97 per cent, significantly higher than the MRZ figure of 88 per cent. Marking rates for meat flocks (representing only six per cent of respondents) averaged 109 per cent for 2018, which was higher than the previous year, however, the spread in the time of lambing and a smaller sample size made it difficult to analyse the results across the regions. Ms Curnow said survey comments reinforced the importance of commencing supplementary feed regimes early to generate a good return on investment. “We received feedback from producers who purchased feed reserves and started feeding ewes early at sufficient rates that achieved lambing rates well above the district averages, many more than 120 per cent,” she said. 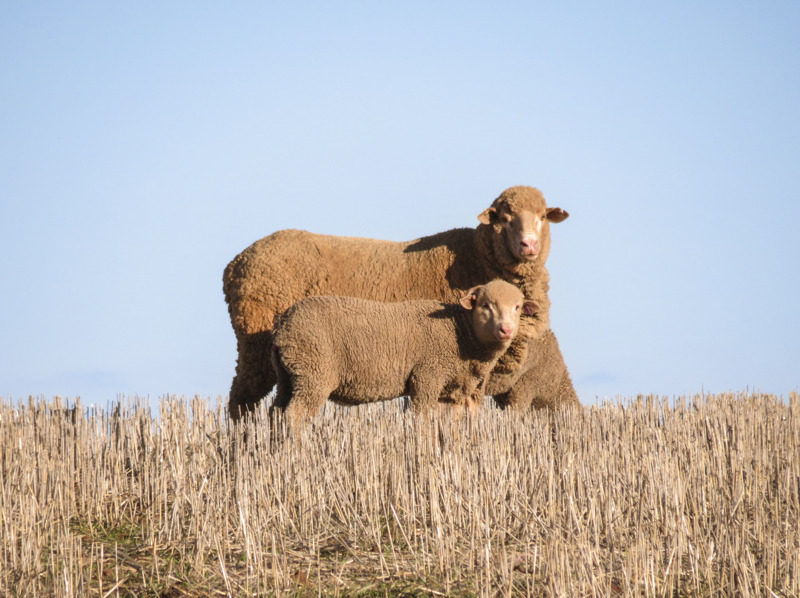 With good returns for sheep and wool at the moment, Ms Curnow said producers should think carefully about selling down young breeding stock – especially if the demand for ewes increases over summer. “While prices for ewes could increase significantly, it is important for producers to assess the impact selling breeding stock will have on their own flock’s current and future profitability if the replacement flock is reduced,” she said. The department continues to encourage sheep producers to optimise their lambing rates and build feed budgeting skills through its support of the Lifetime Ewe Management (LTEM) course. A range of technical resources to aid flock management over summer-autumn have been harnessed on its Season 2018-19 webpage , while its free Lambing Planner app is a useful tool that allows producers to calculate key milestones in the reproductive year, based on lambing and joining dates. The 2018 WA Lambing Survey, details about LTEM and the department’s sheep initiatives are available here , along with the latest Live Sheep Export Industry Update. A DPIRD survey has found good lambing rates were achieved in 2018, despite a difficult season. This print version was generated at 7:10am on the 26th of April, 2019.